The General Data Protection Regulation (GDPR) is the biggest change in 25 years in the way that organisations manage and control the use of data. The substantial changes surrounding the rules around personal data and its use come into effective compliance by 25 May 2018. Your organisation needs to have key individuals or managers in place who understand the requirements of the GDPR and have or will audit and understand the different types of data you process or control. Then implement your plan to maintain a compliance programme. In some instances, there will also be a requirement for your organisation to appoint a suitably qualified and trained data protection officer (DPO). This course would help you understand the new framework of regulation and how these laws are applied in practice and its importance for any organisation holding personal identifiable information. 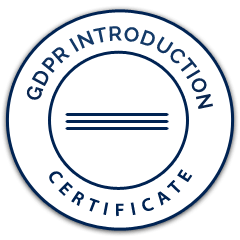 Delegates will acquire a sound grounding in the key elements of the extended data protection laws and practical steps to start their GDPR planning.